Now featuring new and highly improved videos (autumn 2014). This app provides you with 25 ski lessons that you can use if you are an experienced skier or if you are looking for inspiration on how to teach experienced skiers. 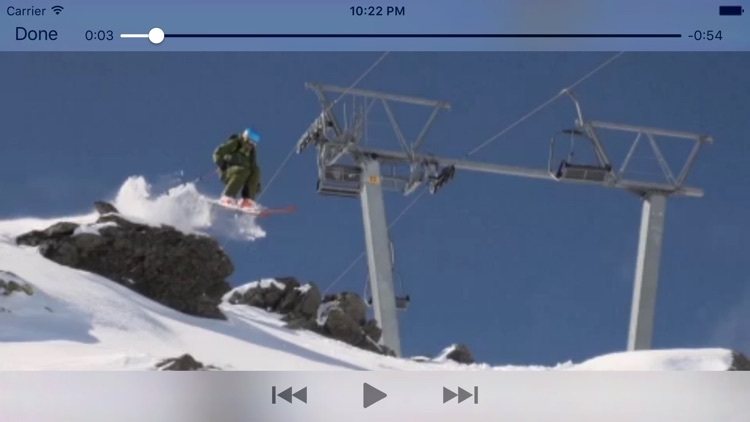 The short video clips provide you with inspiration and ideas you can use if you want to improve your skiing abilities. The ski lessons can also function as a work tool for ski instructors who are searching for inspiration on new lessons plans for the coming season. The videos are short and sweet giving you a quick insight into what the exercises trains, in which terrain they should be executed and what things you as an instructor should be aware of. 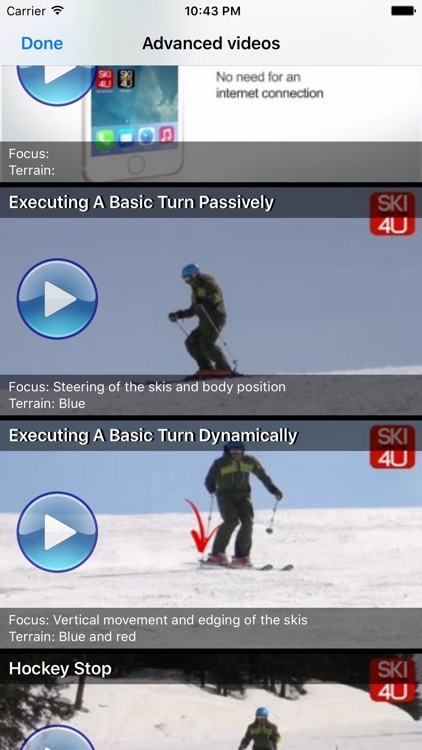 These ski drills are designed so that ski instructors/teachers, parents or friends can get a quick understanding, and an awareness of what the drills entail and which ones are suited to their students, or will help to improve their own skiing abilities. •	In your chalet before you hit the slopes. •	On the mountain before you start your lesson. •	In the lift on the way up to the slopes. 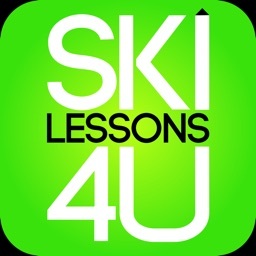 SkiLessons4U is found in four different levels, each level comes with a group of training video lessons. This way both beginners and experienced skiers have the opportunity to gain knowledge and information on skiing techniques designed especially for their abilities. 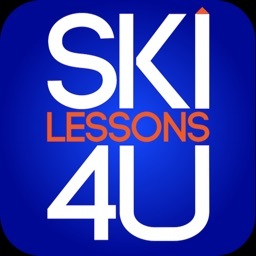 Here you get ski lessons that can be used to teach or train children, teenagers, and new beginners to ski. Here you get ski lessons that can help you or your students take skiing to the next level, for example go from skiing in plough to parallel skiing. 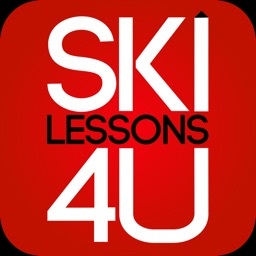 Here you get ski lessons that can help you or your students to improve there skiing. You or your clients should be competent in parallel skiing. 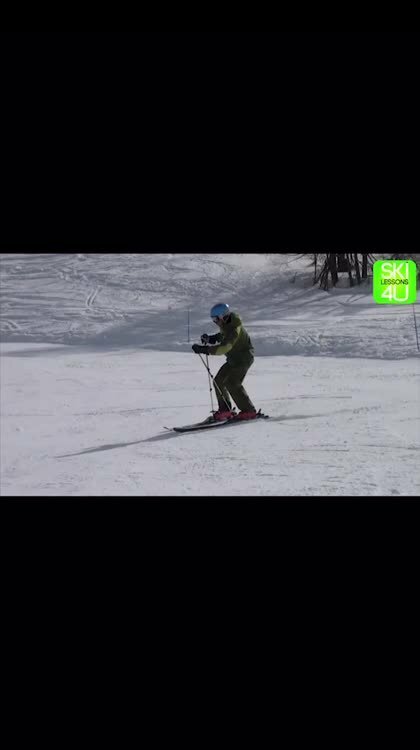 •	Using your ski sticks. Here you get ski lessons that can help you or your students to improve there skiing. You or your students/clients should be at an advanced level, for these lessons. •	Carving - The complete dynamic turn. Here you get ski lessons that can help you train your own or your student’s abilities in the area of freestyle and tricks.